Grand Prize: Family Dinner & A Movie prize pack worth $400.00. 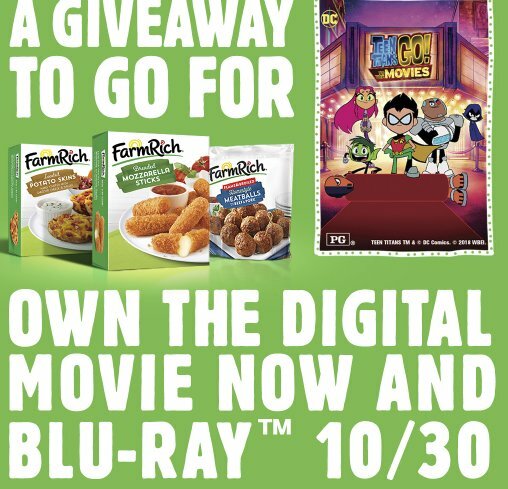 Enter for the chance to WIN movie night must-haves: Teen Titans GO! to the Movies download, air fryer, awesome TV dinner trays.